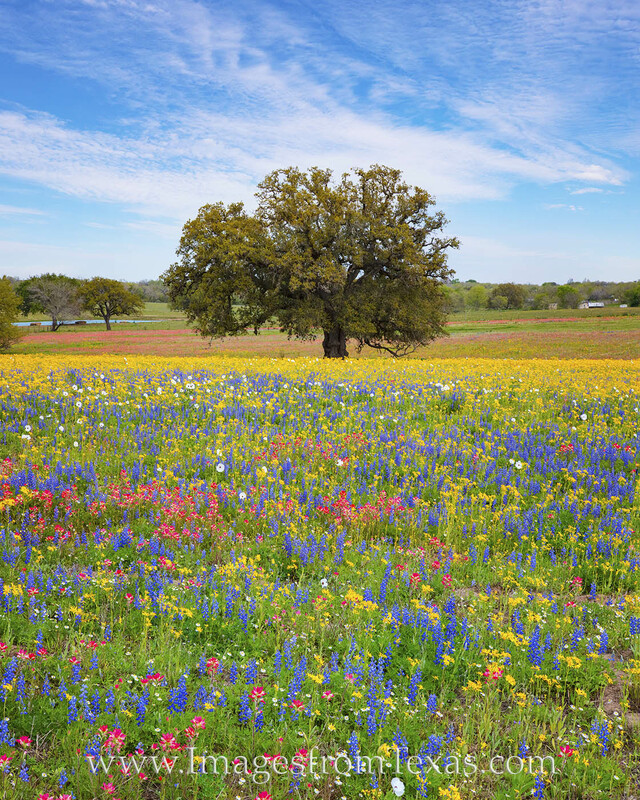 The wildflowers south of San Antonio, Texas, were amazing on this beautifful afternoon. Fields of yellow, blue, red and white painted the landscape with an explosion of spring blooms. This photograph of colorful flowers comes from Atascosa County near Poteet. This wildflower photograph is available in larger and custom sizes. Photo © copyright by Rob Greebon.